Looking for a fresh challenge? Then consider this. We’re looking for someone who’s conscientious, hard working and able to make decisions using their own initiative. Our family farm is located in Lincolnshire, east of Lincoln. 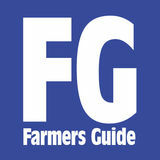 The full-time work will entail roughly half arable and half helping with free range chickens. AGRICULTURAL SERVICE ENGINEER We have a vacancy for a Service Engineer to join our existing Service team at our Reading Depot. Join us in the repair and servicing of modern farm machinery including the full range of CLAAS equipment. You will possess the ability to work on your own initiative as part of a small close team. 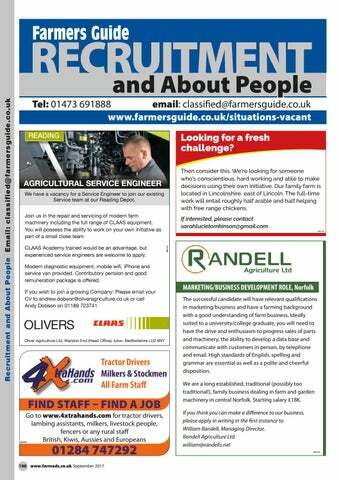 CLAAS Academy trained would be an advantage, but experienced service engineers are welcome to apply.